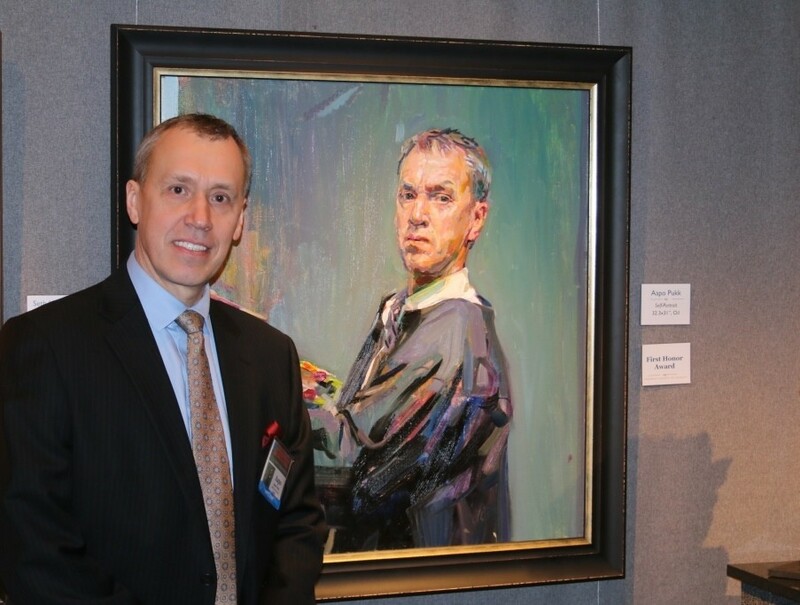 Estonian portrait artist Aapo Pukk has won the second Honour Award for his self-portrait at the competition of the Portrait Society of America (PSOA), held from 14-17 April in Washington, DC. Pukk’s self-portrait was selected to be among the ten best works from 2,439 submissions from all over the world. In addition, his portfolio of work was declared the Best Portfolio Winner. Accepting the award, the artist said winning prizes required “more than honing one’s techniques and the detailed depiction of the inner world of the sitter; you must also bring something completely new to the image, something that would push the boundaries of portraiture and broaden the possibilities of this honoured art genre”, according to a statement. “When I saw the works that made it to the top fifty, I was awed by their perfect compositions and substantial approaches. I suddenly realised what a varied insight portraiture can offer into the essence of an era and what amazing possibilities for recording the human thought it offers. I am extremely proud that my self-portrait was selected among the absolute best of the world’s portrait artists,” Pukk said. The portraits went through two rounds of judging at the competition and the jury included Raymond Everett Kinstler, who has painted seven US presidents; Mary White, a watercolorist who has won the PSOA gold medal; as well as Dawn Whitelaw; Rhoda Sherbell; Judith Carducci; Edward Jonas; Michael Shane Neal; and Robert Liberace. Pukk painted the award-winning self-portrait in February this year and it was completed in two days. Pukk has won many awards at the PSOA’s competitions, most notably the Honor Award in 2001, Exceptional Merit in 2008 and the first prize in the category of self-portraits at the members-only competition in 2013.